More choice. Less hurdles. More support. Less nonsense. Business funding is a fantastic tool which will enable your business to realise it’s potential. Our simple and hassle free approach to funding allows you to take control. Whether you need a business loan or merchant cash advance we will remove the legwork & ensure you get the best deal for your business. 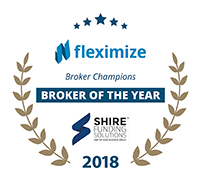 As a broker and a funder we are in a truly unique position to find the right solution for your business. Our staff will take the time to understand your business, it’s plans and potential to ensure we can get the best product for you. We have been using Shire Funding over many years to raise funds for expansion, materials and stock, new equipment and more. We have had exceptional help, assistance and advice. When you are a small business and need a short term loan and need funds quickly, Shire have always been there for us - the after care and support is brilliant and they are always at the end of the phone. We could not recommend a more helpful and professional company. It gives me great pleasure in recommending the services of Shire Funding Solutions. My account contact has been looking after our business funding requirements since 2013. Without doubt, her professionalism and experience has exceeded my expectations and in turn has helped me to achieve my aims and business goals. If you are looking for a new ways to help fund your business needs then look no further. Having dealt with Shire Funding Solutions over the last 12-15 month period we would have no hesitation in recommending this company to other Businesses. All aspects of our transactions were dealt with in an extremely efficient manner, every member of staff we had contact with were professional and helpful and their continued contact to ensure customer service satisfaction is impressive. Shire have provided us with simple, affordable and rapid access to funding, providing us with a cash injection to meet our business needs. I highly recommend their services to SME’s. What a fantastic team. I’ve been using Shire for all my finance requirements for over 8 years and they have always delivered. I would highly recommend.